Picked & pressed.Holden's Summat Else is a full bodied real cider rich in tannins and flavenoids which create its natural flavour and golden colour. 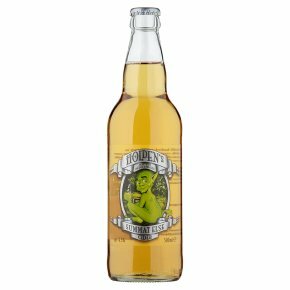 Made from fresh apples, which are pressed, fermented and matured prior to filtration and bottling. Using a unique blend of bittersweet cider apples enables the capture of the full character and freshness that can only be achieved when real apples and quality become the primary aim of the cidermaker.